Google and LG officially unveiled the Watch Sport and Watch Style today after weeks of leaks. The devices are very much what we expected: one is a fully-featured sport-style connectivity and Android Pay, while the other is more fashion-focused. The Watch Sport is “Android Wear’s most powerful watch yet,” according to Google. It features GPS, NFC for payments, a heart rate sensor, and cellular connectivity with AT&T and Verizon. It’s body features three buttons, including a rotating power button that helps you navigate the watch and comes in dark blue or titanium. As for other specs, you are looking at a 1.38-inch circular POLED display, 430mAh battery, 4GB storage, 768MB RAM, and the Qualcomm Snapdragon Wear processor. The Watch Style is “thin, light, beautiful to look at, and comfortable to wear,” says Google. It comes in silver, rose gold, and titanium, and features that same rotating power button as the Sport for navigation. It does not include a GPS, NFC, heart rate sensor, or cellular connectivity. But hey, it does let you swap out watch bands quickly, unlike the Sport. For other Style specs, you have a 1.20-inch circular POLED display, 240mAh battery, 4GB storage, 512MB RAM, and a Qualcomm Snapdragon Wear processor. 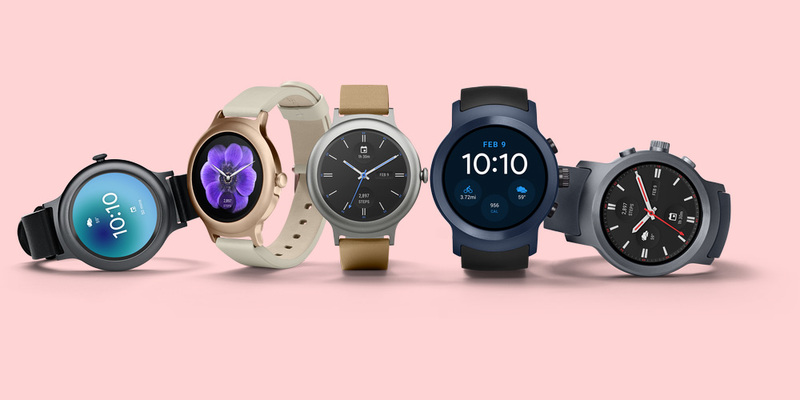 The LG Watch Style will be available at Best Buy and the Google Store for $249, while the LG Watch Sport will sell at AT&T, Verizon and the Google Store, as early as February 10. Pricing on the Watch Sport varies depending on carrier, but Google will sell it for $349.